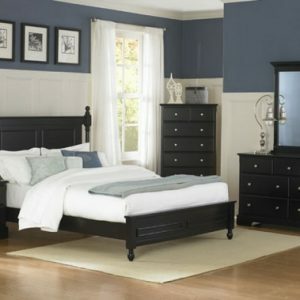 Give your bedroom a rustic feel with the plank-style trimmings of this bedroom set! Prominent plank details adorn the headboard and case goods of this set, providing an appealing timber-like appearance that instantly warms your bedroom. 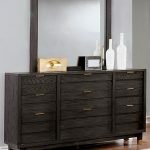 Complete with a convenient combination of storage and style, this bedroom set rests atop sturdy wood block legs for ample support.